Want help getting started trapping? Here’s a quick reference from past posts to get you up and running. Some posts are listed in multiple areas because some cover multiple subject. Enjoy. 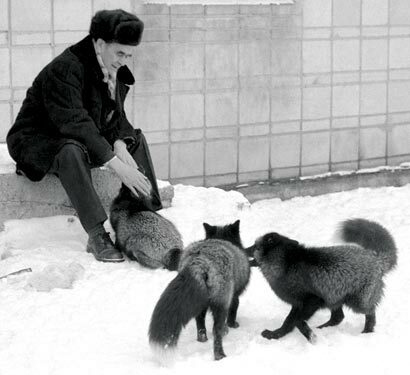 Belyaev with some of his foxes. 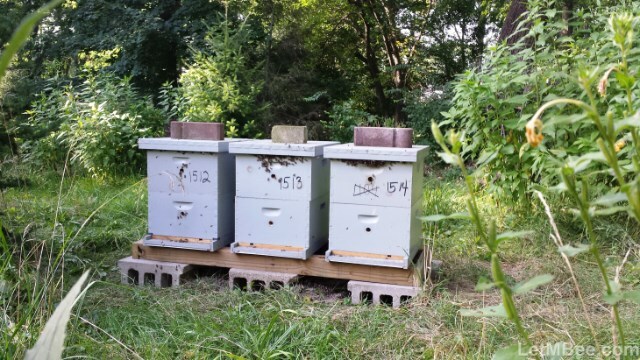 Feral Bees are OUT THERE – Some will say that all the feral colonies are gone, but that does not make it so. Here in my part of Indiana I try to have them UP by 4/15 every year. Depending on where you live you may want to do this slightly earlier or later. If you are wondering about how to time this, I follow the BeeSource thread Please Post your Swarm Dates. Make sure you go to the LAST page. Subscribe to the thread and you will get e-mail updates each time a report is added. Check the settings on your BeeSource account. You may have to login after each e-mail notification to get future alerts. Determine how far North or South reports are from you. There are reports from ALL over the country so look for zipcodes near you. Contribute your swarming activity. It will help others. Full traps are moved at night. It is normally hot and humid so take a spray bottle with water in it. Under these conditions bees will normally be hanging out on the FRONT of the trap. 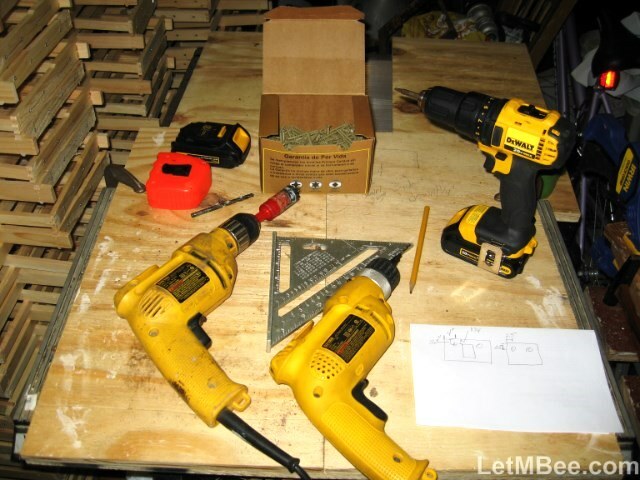 Applying a MIST to the front of the trap near the entrance will send bees inside so none of your workforce is lost. 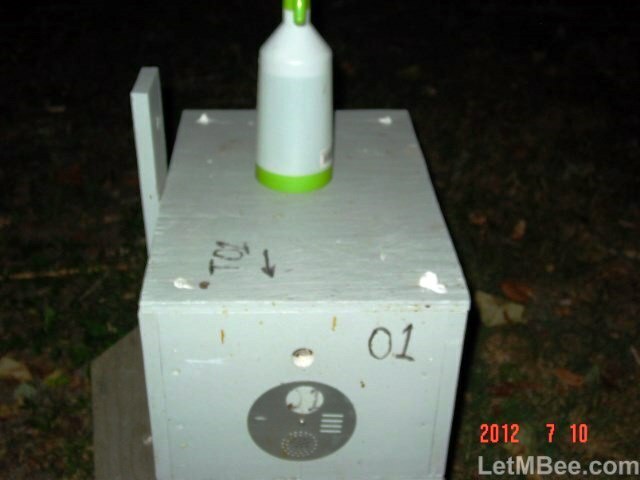 Hiving Swarm Traps – I have experimented with this a lot in the last several years. Since these posts in 2012 I have began installing newly caught swarms IN THE TOP DEEP of a stack of either 2 or 3 deeps. Three Deeps were used for LARGE swarms caught in April and May. Two Deeps were used for smaller swarms and those caught in June and July. Moving forward I will hive newly caught swarms in 2016 in the TOP deep of TWO deeps unless the swarm is unusually large. After colonies overwinter the first year they will have A THIRD DEEP nadired UNDER the previous TWO deeps. If you have questions leave comments. When to take down traps – at my latitude in the NORTHERN HEMISPHERE I begin taking them down on 8/1/15. 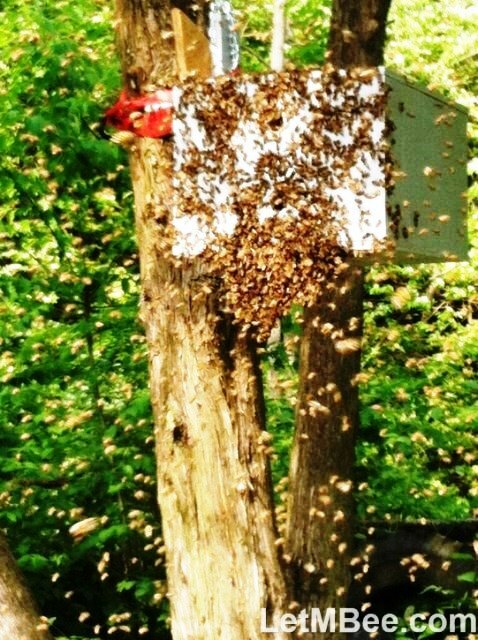 Contrary to popular belief the “swarm season” lasts longer than 3 weeks in May. 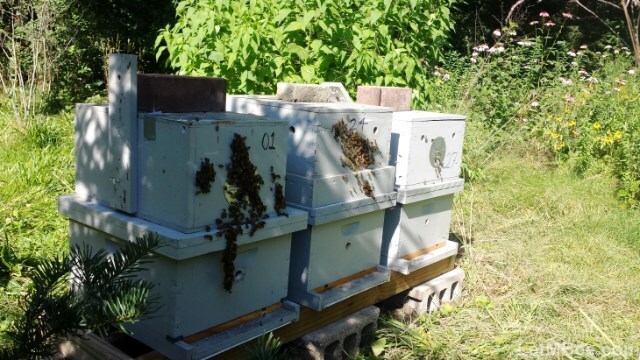 I have had many colonies caught in July overwinter well and produce good honey crops the subsequent year. I may be updating this page from time to time so check back. If you have questions…… ASK! Don’t be a CHUMP CRICKET! Great info from a bee whisperer evidently! Thanks so much for the swarm trap plans! 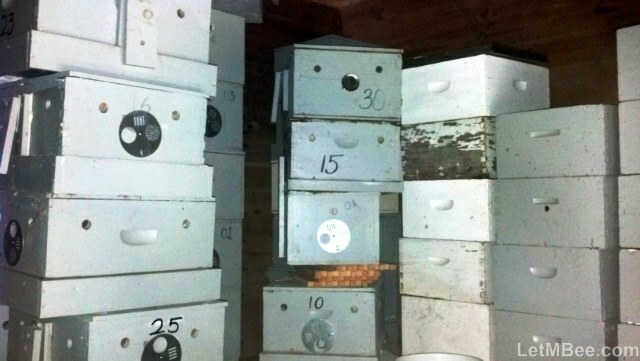 I am going to try to catch my first bees and see if I can save money by not buying the nucs I had planned to get. I have all the parts cut and ready to put together, but I can’t figure out where the end caps go, as they don’t seem to be on the assembly page. 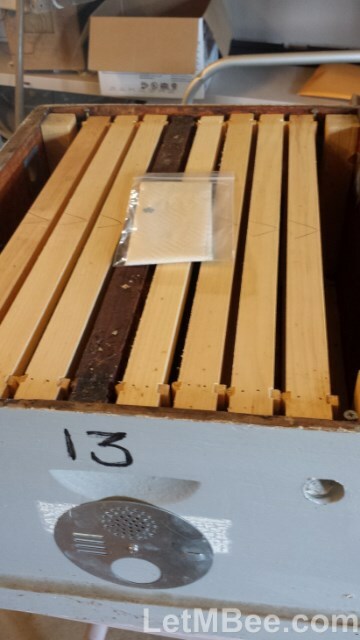 I’m a complete beginner so maybe I’m missing something that’s obvious to an experienced beekeeper. It wouldn’t be obvious to a more experienced beekeeper. 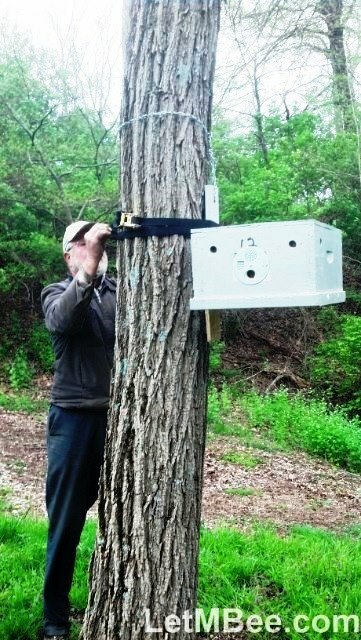 More experienced beekeepers don’t generally build swarm traps. This is a 5-frame nuc built using the same style lid. You can see how it goes together. Screw on each side on the ends with another screw in the top. If you look closely on the assembly page you can see these screws are accounted for. They are not labeled, but they are pictured. Thanks for making me aware. Good luck trapping, and thanks for the comment.